For the first time, all 13 mayors on the South Island are coming together and demanding that the province makes significant changes to transportation. 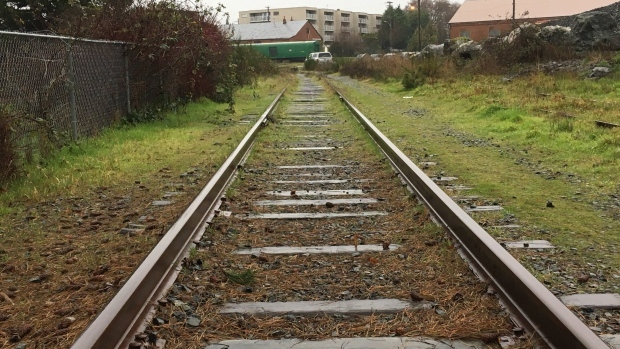 The mayors have written a joint letter calling on the province to fix the unused E&N rail line between Langford and Victoria. "It was time for us to send a definite demand, and a request to the province," said View Royal Mayor David Screech. The corridor has been silent for eight years and is currently being used by runners and dog walkers. Several island residents believe that the unused tracks are a waste of an opportunity, especially with slowdowns on the Trans-Canada Highway, and the infamous Colwood Crawl. "It’s appalling," said long-time resident Tim Boultbee. "We have this infrastructure in place, and yes, it’s going to cost a lot of money, but we have to ask ourselves, what are the alternatives to transportation?" In May 2018 Premier John Horgan said that, after review, the corridor would be better suited to another mode of transportation, stating buses as a possible option. Since then, the premier has been silent on the issue, along with Transportation Minister Claire Trevena, who both declined on-camera interview requests. Trevena did release a statement saying that the province is looking at conducting an additional bridge and track study to assess safety, which would take six months. Screech says the situation "is frustrating," and the province needs to invest more money in building alternative transportation routes from the West Shore to Downtown Victoria. One Langford resident told CTV News that she takes a bus because it’s a shorter ride, but even with busses having their own lanes, the trip still takes an hour-and-a-half. Mayors in the Capital Regional District are hoping that the province includes corridor upgrades in the 2019 budget.